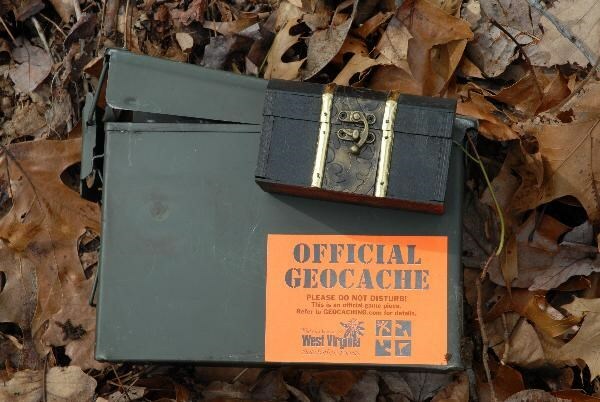 This cache is on the Park View Trail in Cedar Creek State Park in Glenville, WV. The trailhead is about .5 mi from the entrance on the left. There is a parking spot just across the street with room for 1 - 2 cars. 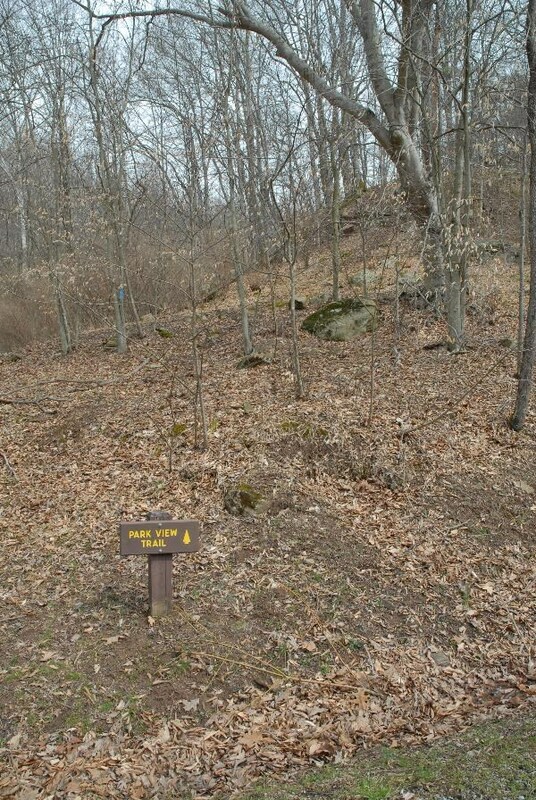 The other end of the trail is near the park office. Either way you will have a steep climb from the beginning, with varying degrees of difficulty as you make your way to the top of the ridge. Trail maps are available at the park office or campground registration office. There is a camera in the cache, please take your picture, include the number in the log and leave the camera in the cache. The cache container is a green medium-sized ammo can. There is a small treasure chest of goodies for the FTF, including an unactivated geocoin. The chest and all the contents are yours to keep. WV State Park Finds for "the Challenge"
Park View TrailheadThe beginning of the hunt. Nice little uphill start. The CacheThe Cache container and the FTF treasure chest.